Combines broad vaccine portfolio with novel delivery system to efficiently and effectively protect against highly infectious poultry diseases. MSD Animal Health, a division of Merck & Co., Inc., Kenilworth, N.J., USA, one of the world leaders in animal vaccines, today announced a partnership agreement with Vinovo B.V., a division of the leading hatchery automation company, Viscon Hatchery Automation. 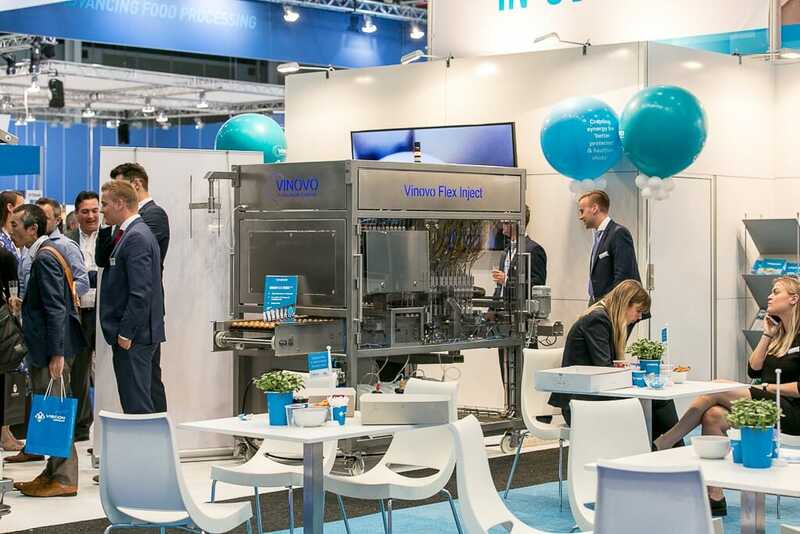 This year’s VIV Europe World Expo, held in Utrecht, Netherlands, focused on new technologies for smart food production – applying advanced and innovative methods, like those highlighted through this partnership, to improve efficiency, quality and sustainability. 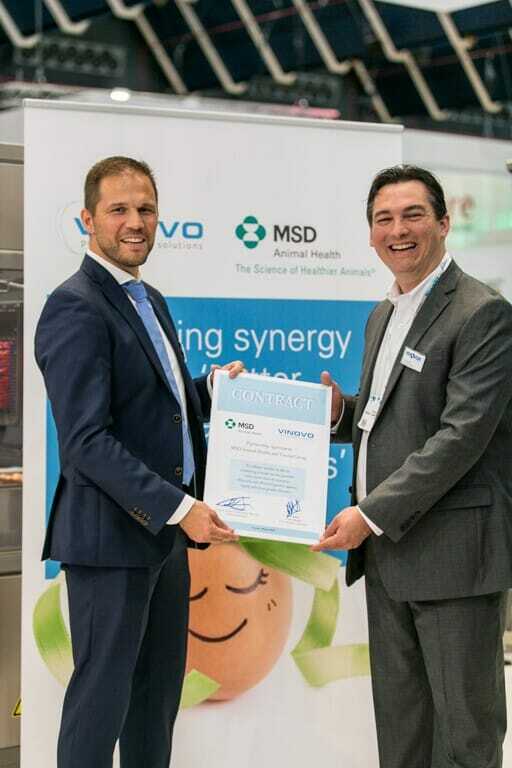 This synergistic partnership, which was announced during a signing ceremony at the VIV Europe World Expo, will bring together MSD Animal Health’s unique broad vaccine product line and Vinovo’s novel vaccine delivery system to provide a new standard in safe and effective in ovo vaccination, thereby improving bird welfare, reducing vaccine reactions and providing greater protection for the chickens. MSD Animal Health is the largest poultry vaccine manufacturer worldwide, with a broad product line against most major pathogens and a focus on diseases affecting broilers, breeders and layers. With a robust R&D pipeline spanning key disease areas, the company aims to advance vaccine and pharmeutical scientific innovations in veterinary medicine in poultry as well as in other species areas. For more than a century, MSD, a leading global biopharmaceutical company, has been inventing for life, bringing forward medicines and vaccines for many of the world’s most challenging diseases. MSD Animal Health, a division of Merck & Co., Inc., Kenilworth, N.J., USA, is the global animal health business unit of MSD. Through its commitment to the Science of Healthier Animals™, MSD Animal Health offers veterinarians, farmers, pet owners and governments one of the widest range of veterinary pharmaceuticals, vaccines and health management solutions and services. MSD Animal Health is dedicated to preserving and improving the health, well-being and performance of animals. It invests extensively in dynamic and comprehensive R&D resources and a modern, global supply chain. MSD Animal Health is present in more than 50 countries, while its products are available in some 150 markets. For more information, visit www.msd-animal-health.com or connect with us on LinkedIn and Twitter. Beginning in the 1990’s, Viscon Hatchery Automation has grown and developed with the industry and today stands as one of the market leaders in intelligent automation solutions for broiler, layer and breeder hatcheries worldwide. While building on expertise with research, continual innovation and a pragmatic approach, each project undertaken whether it be standalone machinery, modifying an existing hatchery or helping to build some of the world’s largest hatcheries, has allowed Viscon to become a specialist in the field. With a flexible approach, Viscon can adapt each and every component of its hatchery automation processes to any incubator brand and configuration found on the market today. While it is still relevant today, automation has become more than just a way to reduce costs or improve on operational efficiencies. By promoting the ability to perform in-house manufacturing, a fully customisable and transparent experience is achieved with every stage from inquiry to after sales service. Viscon has diversified its automation capabilities to be able to offer you more. Topics like health, hygiene, disease prevention and traceability are just mere examples of what our automation can help achieve. For in ovo vaccination Viscon has developed a new line of machines. This product line carries the brand Vinovo and offers hatcheries a bio-secure and accurate solution for in ovo vaccination that will improve health and welfare of chicks, starting from the earliest stage in the hatchery.